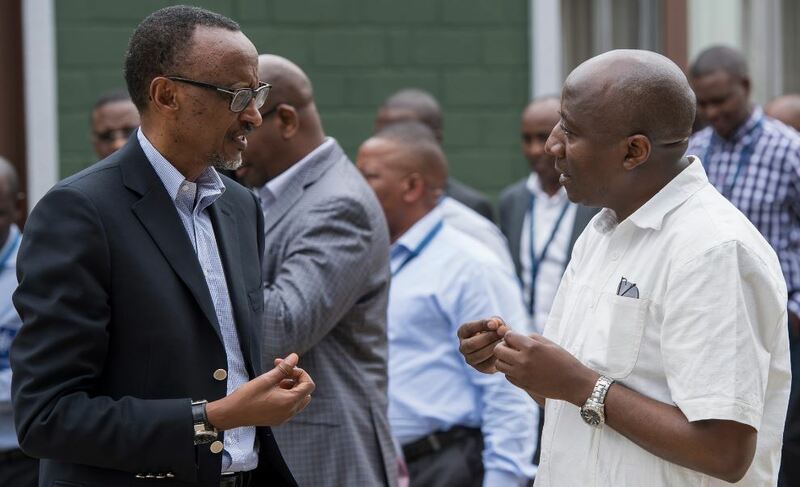 Six months after his appointment as Rwanda’s Prime Minister, Dr. Edourd Ngirente attended his first National Leadership Retreat convened at Rwanda Defence Force Combat Training Centre in Gabiro, Gatsibo district. Known as a hands-on and results oriented performer, Prime Minister Ngirente has been a busy man since August 30th in 2017. He has been cracking the whip – having fired several public officials pending various crimes including; misuse of public funds, abuse of office and incompetence. Ngirente is seen as the man to implement tough changes in the government that is focused on excellence in performance. 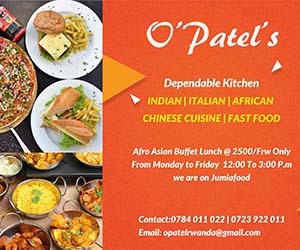 After the 15th National Leadership Retreat, the Prime minister is expected to enforce tough actions as it is evident that President Paul Kagame expressed disappointment with appalling levels of service delivery, malnutrition, poor hygiene and incompetence of leaders mired by lack of coordination. Definitely President Kagame spent a lot of his time interrogating the public officials why they don’t leave the comfort of their office and meet citizens on ground and deal with problems like poor hygiene, malnutrition among others. The president was not convinced by responses from Local government minister, Agriculture Minister and had big concerns with Infrastructure ministry. While insisting on why the problem of unhygienic children on the streets and stunting has been returning to National Leadership Retreat for the past 15 years, President Kagame was not convinced by answers presented by the Minister of Gender and Family promotion. “I am reminding you that we are going to have a fight these days, get prepared for that. But before that I will first have a fight with ministers. They are not stronger than me. I will fight with them as well,” Kagame assured the leaders. Below is an explicit speech delivered by Prime Minister Ngirente at the 15th National Leadership Retreat. Your Excellency, the President of the Republic, I would like to present the image of what we have so far achieved in EDPRS 2 that started in 2013 and will end this year and implementation of the goals of Vision2020 which is remaining with almost three years to end. Generally the goals were impressively attained but we can’t stop criticizing ourselves where we fell short in achieving what was planned. We need to work harder. Among the 52 goals of the Vision2020, eight goals, meaning 15% were achieved on a 100% average; these were successfully carried out according to the way we had planned. 19 goals representing 37% have been achieved at a 75% rate. 19 goals were implemented at more than 50% rate. However, there are other six goals (12%) that were implemented at the rate less than 50% – here we are still far behind. The GDP has been increasing yearly. Since 2000 to 2016, Rwanda’s GDP increased at an average rate of 8%. The GDP per capital today is 729 US dollars per average but it was planned to be 1240 USD. The number of the Rwandan population under the poverty line reduced significantly; from 60.4% in 2000 to 39.1%. Funds given to the private sector is at 24% of the national GDP while it is planned to reach 30% in 2020. The general national investment is at 26% compared to the national GDP while the goal is 30% in 2020. The number of Rwandans who work with banks and other financial institutions is at 68% but when we count those who work with local saving cooperatives known as ‘Ibimina’ and other money transferring systems, the number is 89% but the goal was to reach 90% in 2020, which we are close to achieve. Roads in good condition and well maintained are at 72.8% rate whereas the goal was to be at 85%. The number of households with electricity rose significantly though we have to add more. The number of the Rwandans who use mobile phones is 76.5% while the goal was to reach 60% in 2020; this goal was achieved more than planned. In social welfare, the life expectancy of the Rwandan population raised to 66 years from 49 years in 2002. The average of the population who has now access to sanitary programs has reached 90% while the number infant deaths reduced from 107/1000 children to 32/1000 children today. This goes with mothers who die at delivery who are 210/100,000 from 1071/100,000 mothers in 2000. In governance, as His Excellency the President of the Republic mentioned it, Rwanda put much energy in fighting the corruption. According to the 2017 Corruption Perception Index released by Transparency International released last week [February 22, 2018] shows that Rwanda is still the third least corrupt country in Africa being the first least corrupt country in East Africa. The number of women in decision making positions has increased as it is today 40%. The rule of the law in Rwanda is at 49% rate. Your Excellency, what I have shortly mentioned above shows that in general, we are happy that we have achieved some of the goals as we had planned them but there is still poor and ineffective work delivery which hinders the nation from achieving goals according to plan. Exports rate was to be increased to 28% per year but we did not achieve this. Service delivery was planned to be increased to 13.5% per year but we managed to achieve only 10%. We did not achieve our goal to get the agriculture to 8.1% per year which was not achieved. Mechanized agriculture was planned to reach the 40% average but we did not make it. In Vision 2020, the digital money payments would be at 75% of the DGP but numbers show that it is at 20% with a few years remaining to reach 2020. Industrialization was to reach to 14% average per year and this was not achieved as the 2016 facts show that this was at only 6%. The number of the Rwandan households that use wood to cook is still high at 83% but the target was to reduce it to 50%. The President has reminded us about malnutrition. We all agree that this problem is very common in our country and we have to work hard to abolish it. The numbers of people who suffer from malnutrition is very high. Your Excellency, I would like to tackle the causes which prevent us from achieving our goals so that we all together take strategies in this national leadership retreat. The first cause I can say and which we can all agree on is the poor collaboration among high governmental authorities and their collaboration with low level authorities. For example, failure to respect the master plans where people build residential houses in restricted areas and you find them with official documents, authorizing them to construct in those places, given to them by official authorities. Poor service delivery still manifests itself in some public and private organs. Again, according to different reports by the Parliament Accounts Committee (PAC), the government property mismanagement is still rampant. In the 2015/16 report by PAC, among 139 organs audited, 40% did not get the clean audit report while only 50% organs had put in practice advice they had been given by PAC Chairperson in the previous year. Another example is that from 2013/14 to 2016, the PAC’s report showed that 98 contracts to construct public infrastructure were not completed. Many of them were dumped by private contractors after they had been paid. There is still the culture of some leaders who set their own interests as priorities instead of the public interests. There is still a culture of hiding information from leaders to each other while this information would be important in the country’s development. Implementation of the activities that do not respect set deadlines, the lateness and the poor follow-up of implementation of decisions taken still manifests itself in different organs. There are still public organs that hire workers who have nonstandard ability and knowledge to help them achieve planned activities. There is still the culture of some leaders that are slow to take decisions and those who fear to take important decisions in fear of losing friends. There is still a culture of not taking worth and bitter decisions against leaders who do wrong in their work mostly those who do mistakes having planned them. There are still leaders who forge statistics while compiling reports which hinders planning because when they falsify numbers, it does not help us at all. So, Your Excellency, we want to change this and be truthful when we want to do reports by saying where we are still low so that it may be corrected. The examples of the poor activity delivery contribute to the low and slow development of our country. The solution to end this and make it to perfection is mostly in us, as leaders gathered right here. Your Excellency, I would like to account for the way the resolutions of the 14th National Leadership Retreat that was held from February 25 to March 2, last year, were implemented. The National leadership retreat of the last year saw 26 resolutions taken, which were divided in 62 important activities. The survey done on the implementation of these activities showed that 51 activities were implemented excellently while other nine activities, 15% were done averagely while the other two were very poorly implemented. Through the National Transformation Program, the planning to get the goals of the EDPRS 2 and Vision 2020 achieved was set. There was a way set to help concerned organs to effectively follow up implementation of those activities. The preparations and the follow up of the contacts between the government and private entrepreneurs were bettered. Enhancing strategies to prosecute those who have a role in mismanaging the public property which bring about the loss to the state. Ending the return of the properties embezzled by those found guilty or responsible for those charges and prosecuting those who have not yet been taken before courts. Here, Your Excellency, we can say that corruption in these cases should be also fought so that the government property should be returned. In December 2017, a list of the 719 people found guilty of causing the loss to the government and this list will be reviewed after every quarter. In a bid to use well the energy that increases and spreading it countrywide, the on-grid electricity was put in schools, in 64 health centers, in 14 markets, in sectors, industries and in 41 health posts. To get good seeds for farmers and on time, the government put energy in multiplying seeds, favorable to districts, which provide more produce and these seeds were made easily accessible to the farmers. Among those seeds are maize, rice, wheat, soya, cassava and Irish potatoes. The digital payments and money transfers culture was fastened and the government recommended the public leaders to adopt it. In that bid, the government lowered taxes for those who pay each other digitally. For instance, the taxes for tools used in digital payments were abolished. The government increased the money it pays digitally from Rwf492 million to 2.41 billion, an increase of 315%. The number of machines used in payments significantly increased. To improve governmental service delivery, Rwanda online services increased. Since December 2017, services offered online (on irembo.go.rw) were increased to 88 from 40 in 2016. All tenders by the government are awarded through the online system, called E-procurement. In December 2017, the cabinet meeting declared durable strategies to improve the Community health insurance known as Mutuelle de Santé which make us believe that this program will work effectively starting from this year and that the participation will increase in the country. Your Excellency, and all leaders here present, in short, those are, briefly, the important achievements attained following the resolutions of the 14th national leadership retreat held last year. Other detailed achievements attained after the national leadership retreat year after year, are in the report attached to the messages sent inviting you in this national retreat. In the long run, I thank you again your Excellency for this time you gave me to deliver this speech to you and for the invitation you gave us, as leaders, to participate in this national retreat. In the name of the leaders here present, I assure you that we will try our best to put in practice the pieces of advice you gave us today and those you will continue to give us. Thank you!! !